So I am not sure what your take on philosophy is. Are you a fan? Do you love the writings of John Anderson, Maurice Blanchot, Justin Marty, Friedrich Nietzsche and the countless others? Or do you not like it at all, like Lawerenc Krauss, a renowned physicists with many publications under his belt? Or are you like me, when it comes to philosophy? I feel like philosophy is simply one of the many needed facets of a man or woman’s education and life. Philosphy is at the most basic level the study of why life is here. “What is it all about Kenneth”? One could argue that from philosphy we as a society have been able to develop, ethics, logic, reason and has made its impact on almost every aspect of our lives. So yeah, I think philosophy is important and needed and most of all incredibly interesting. To this day we work, play and worship in a way that has more than likely been influenced by the philosophy of many over the years and one particular was John Locke, another was Friedich Nietzsche. When you get the chance try reading some of John Lockes work. 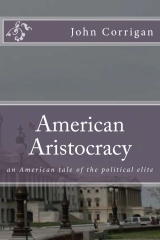 Start with “Two Treatise of Government” great book! Nietzche also did his share of writing in his book “Thus Spoke Zarathustra” . 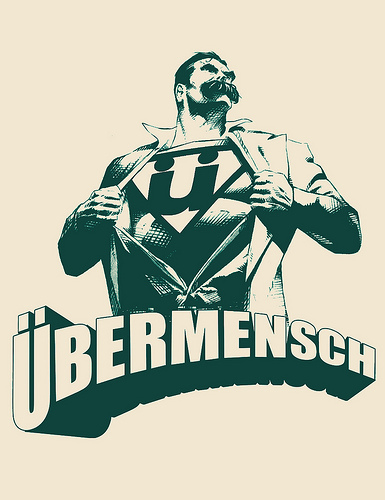 Nietzche mentions the Übermensch (this is german for (and I apologize I am not German and my translation may not be spot on) super human, or Overman, or above human). Basically the super human or Übermensch understands right from wrong and knows why and how morals and ethics work and needs no authority to reign or govern him. Now this concept of Übermensch can for some be freeing and something to aspire to and for others it is something to be feared. Who would protect us without an authority over us? Someone to tell us what to do and when to do it? The Nazi party took the idea of the Übermensch to brutally employ, eugenics and commit atrocious acts of genocide. This was shameful and I am in no way a philosphy major but I am pretty sure this is not what Nietzsche had in mind when he wrote about the Übermensch. Whatever it is he had in mind the idea of this is interesting to me. There was a German community that in a really amazing experiment removed all traffic signs from the town. The results have been mixed, it seems that what has happened most is a more connected community and that is a good thing right? What I love about the idea of the UberMensch is that he or she does not need philosophy. So philosphy has over time made itself unneeded and when you think about it isn’t that the goal of a mother a father or a mentor? Over time as your child grows he or she no longer needs you, but because you have done such a great job caring for they respect and love you. This is how I feel about philosophy and to some extent law. I think it was said best by yet another philosopher. So what makes someone an Übermensch? Well, I guess it is understanding, knowing and doing the right thing. Be an Übermensch today. You are what you eat and..